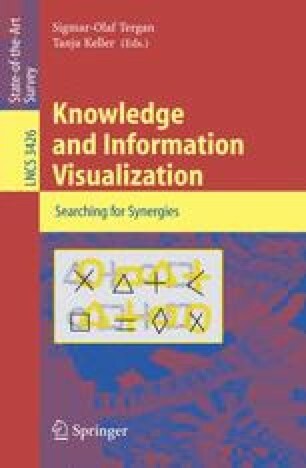 To maximize the representational and pedagogical effectiveness of computer-based concept maps, such maps should be able to incorporate any sort of media that can be represented in the computational environment. This chapter proposes cognitive and educational rationale for this thesis, and discusses an instantiation of these ideas in the form of a Web-based concept mapping tool named Webster. Webster permits broad flexibility in terms of the kinds of knowledge and information that may be represented and the structuring of their visual presentation. One result of this approach is the integration of knowledge visualization and information visualization in a single representational medium. These facilities also make Webster a convenient tool for personal knowledge management, facilitating individual organization of knowledge and external knowledge and information resources for reference and learning purposes.